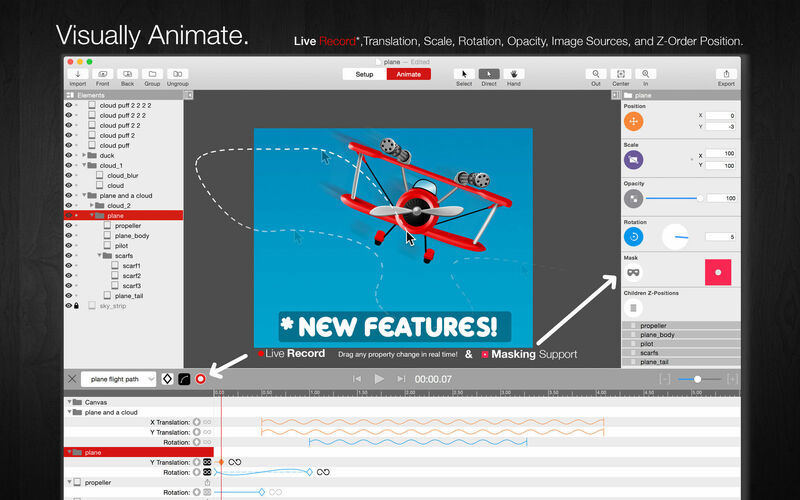 Is there a better alternative to Core Animator? 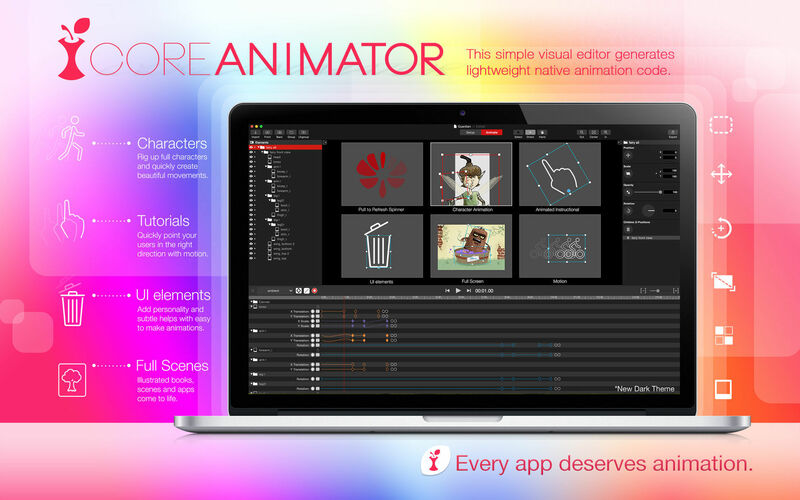 Is Core Animator really the best app in Animation category? Will Core Animator work good on macOS 10.13.4? 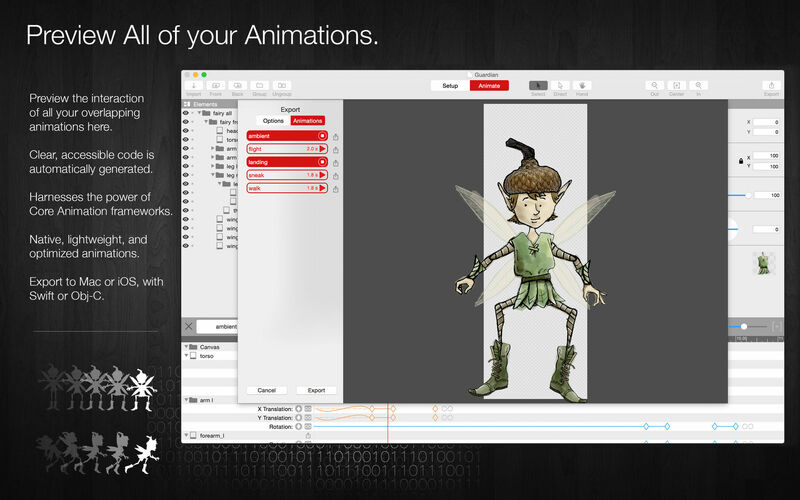 Core Animator gives you simple visual tools to create stunning animations. You focus on the best ways to bring your apps to life and we'll take care of the Swift or Obj-C code for you. Your creations will run beautifully using Apple's native frameworks. 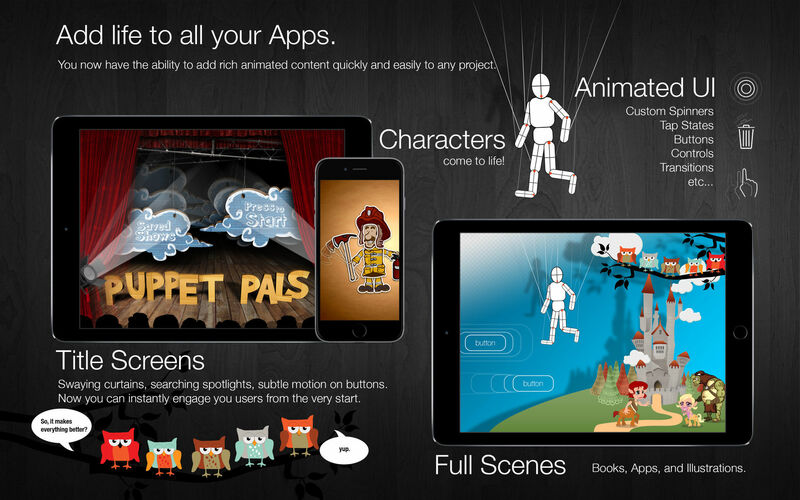 Every app deserves animation. Now, it’s simple to implement. 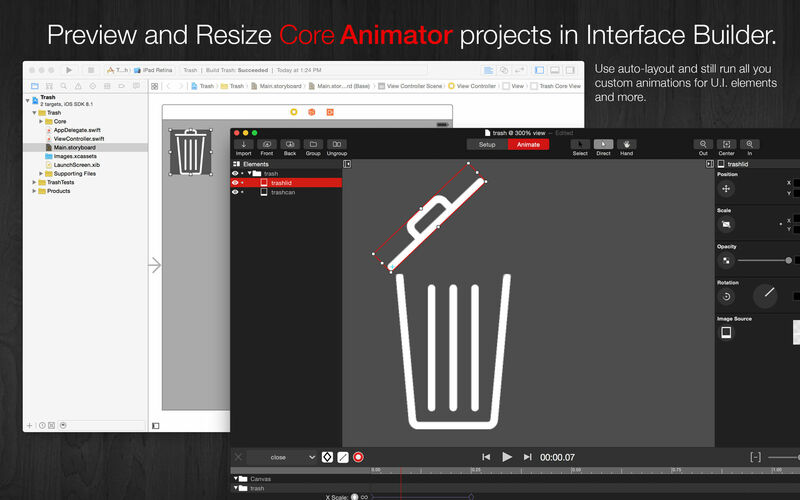 If you have, or would like to have, even a single animation in your app, Core Animator will save you time and money. Fix for crash that would occur if expected fonts were missing from the system. Core Animator needs a review. Be the first to review this app and get the discussion started! Core Animator needs a rating. Be the first to rate this app and get the discussion started!